Unclaimed dividend payments worth Rs 2,000 crore are lying with the Investor Education and Protection Fund Authority (IEPFA). Any payment that investors have not claimed has to be transferred to this authority. The investor then has to claim it from the authority. Senior government officials said there were at least 2.5 million such investors. Most of the cases relate to those who have shares in paper form and not dematerialised ones. A government official told Business Standard, “There are claims up to lakhs of rupees. 99 per cent of such shares are in physical form.” The official said in many cases shares had not been transferred from the name of the deceased to the legal heir. The Securities and Exchange Board of India (SEBI) has mandated all physical shares should be dematerialised by March 31 this year. 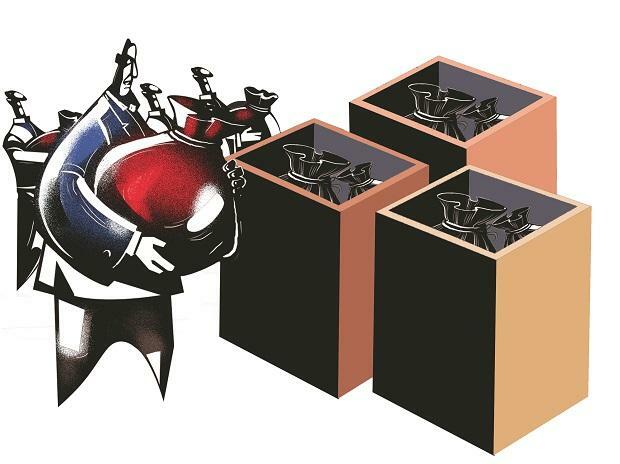 Ankit Aggarwal, managing director of Alankit, a firm that helps investors claim dividend payments stuck with the IEPFA, said many people were not able to claim dividend payments from companies because the share transfer had not happened after the demise of the original shareholder. There are instances of signature mismatch in such transfers, he said. He stated there were many who had lost their share certificates. Experts said there was hardly any awareness among investors about claiming their dividend payments. Investors not claiming their dividend run into thousands even in some of the Sensex companies. For instance, 3,329 investors have not claimed their payments totalling more than Rs 11 lakh from Bharti Airtel for 2016-17. For instance, in the case of Hero Motocorp, more than Rs 8 crore was not claimed for 2016-17. In the case of ITC, payments of more than Rs 32 crore have not been claimed for that year. For ONGC, 2,054 investors have not claimed their dividend payments for 2016-17. In the case of Bajaj Auto, it is 1,517 investors and the dividend payments total Rs 4 crore. The Ministry of Corporate Affairs set up the IEPFA in September 2016 for administering investor education and protection funds under Section 125 of the Companies Act, 2013. Besides this, the Authority is entrusted with refunding shares, unclaimed dividends, matured deposits, debentures, etc. to investors and to promote awareness among them. 3. Claim forms will be verified by the company. Based on company’s report, IEPF will release the payment electronically.